Entered Roundabouts giveaway - 1. An e-mail has been sent to Aileen and she has 48 hours to respond before a new winner is selected. Thanks to all those who entered! I posted earlier about interest in a giveaway featuring a $50 gift card to SpaFinder and found out that there was an interest. I received the gift card last July and with only having one available spa nearby, I am opting out to give it away to someone who might want it a little more than I do! 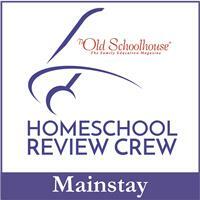 Follow my blog and MySoCalledHomeschoolLife and leave a comment that you follow both. Public GFC follower of both as jennem. gfc follower of both blogs. I entered your Red Envelope Giveaway. I follow your blog and I follow My So Called homeschool Life. +1 I entered Red Envelope GC giveaway. +2 I entered Red Envelope GC giveaway. +3 I entered Red Envelope GC giveaway. +4 I entered Red Envelope GC giveaway. +5 I entered Red Envelope GC giveaway. Follow you on Twitter and retweeted. Entered Uncommonly Cute giveaway - 1. Entered Uncommonly Cute giveaway - 2. Entered Uncommonly Cute giveaway - 3. Entered Uncommonly Cute giveaway - 4. Entered Uncommonly Cute giveaway - 5. Entered Progresso giveaway - 1. Entered Cheerio giveaway - 1. Entered Artic Ease giveaway - 1. Entered Red Envelope giveaway - 1. Entered Vampire Diaries giveaway - 1. Entered Violight giveaway - 1. Entered Violight giveaway - 2. 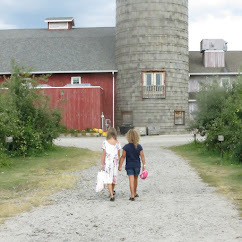 Following your blog and MySoCalledHomeschoolLife on GFC. Like on FB (username: Les Cerises). thanks so much. i follow both blogs. 1.Entered H & S Candies Giveaway! 2.Entered H & S Candies Giveaway! 3.Entered H & S Candies Giveaway! 4.Entered H & S Candies Giveaway! 5.Entered H & S Candies Giveaway!